If you buy one thing from the Nordstrom Anniversary Sale it needs to be one of these tees! They are $15 and come in quite a few colors! I picked up this green one and then a white and gray, too! 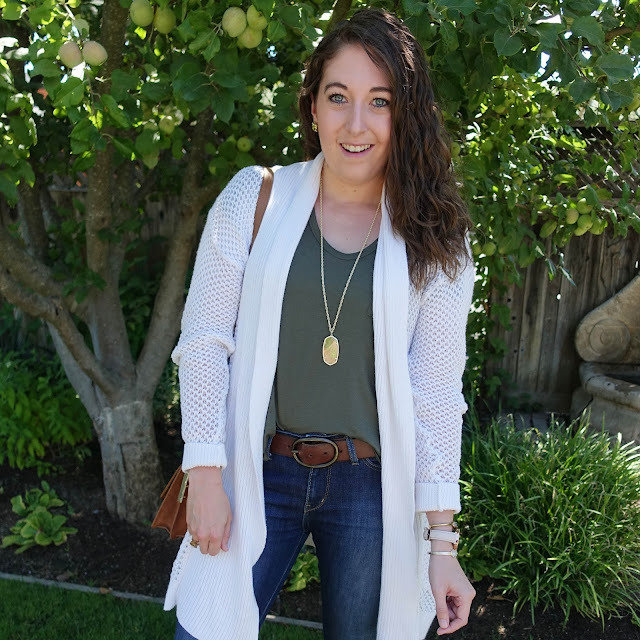 The fabric is so incredibly soft and the cut is so flattering! 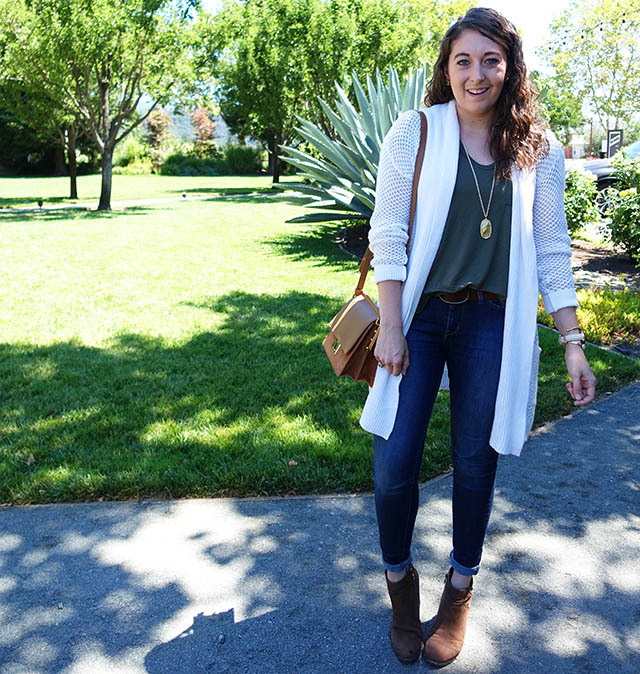 Tees for fall to layer under your sweaters are a must and I usually have to replace these basic pieces every year. 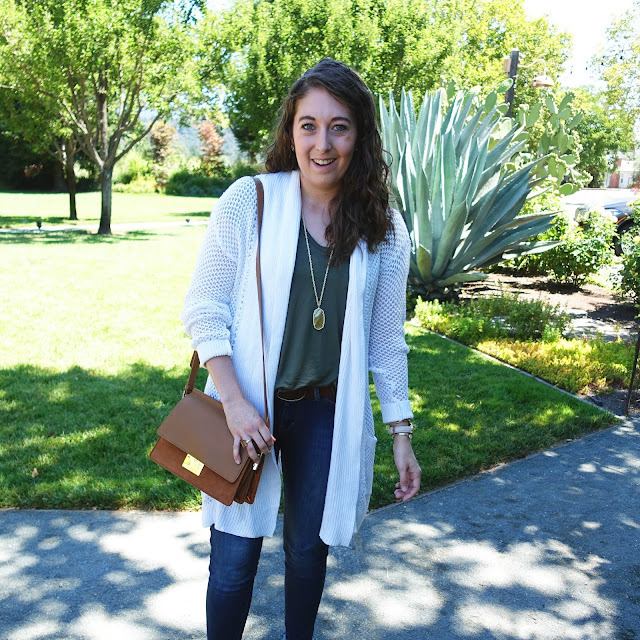 So now that these are super affordable it's a great time to update your collection of basic pieces! I think I spent the most time shopping in the accessories section of the sale because there were so many amazing options! 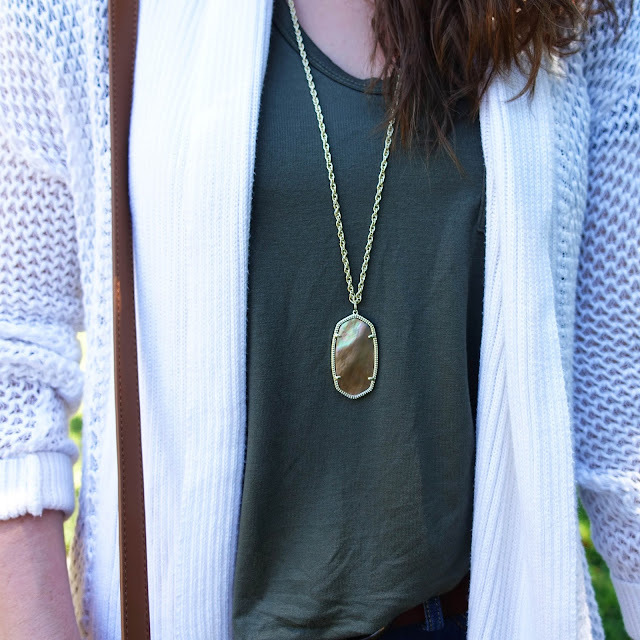 I'm a huge fan of Kendra Scott and this pendant necklace was at the top of my wish list! The light brown option works in with my fall wardrobe so well and I didn't have anything like it. The luminescent shell also adds a little lightness to your outfit and it's so pretty against this hunter green tee! 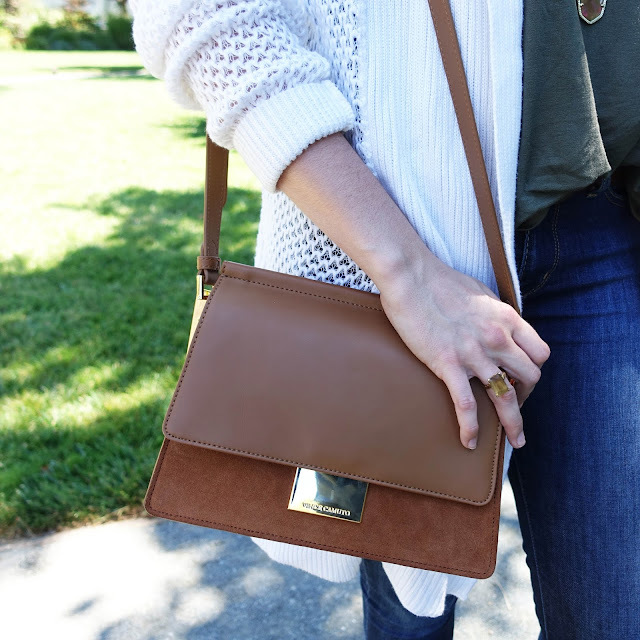 I also am IN LOVE with this bag, but I talked about it in my last post, so check that out because I don't want to gush about it too much! The bootie selection of the sale is ON POINT!! I bought these Steve Madden booties, but only because I already had a great taupe pair in my closet. 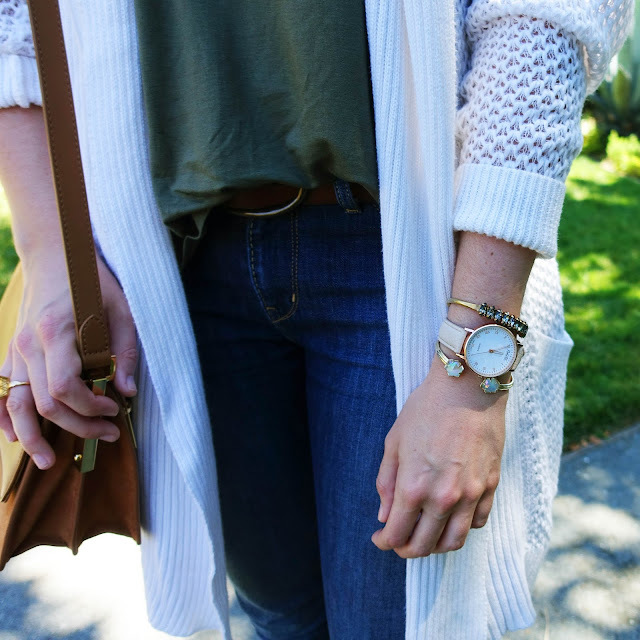 I think this style is a must have in your closet. They go with everything from jeans to dresses and these Vince Camuto booties are so great! Like I said, if I didn't already have a similar pair, I would have picked these up! What are some of your fav sale picks!? What an awesome sale. I rally like your picks! I really like those accessories. Especially those bracelets! I love that sweater! I might need to go order that! I love the Nordstrom Sale so much! And that tee and necklace are super cute!